November 2016 - Patent my French! No, this is not a post about employees who do drugs. In fact, contrary to what the title suggests, there is nothing in common between employees and drugs in my mind, except that I would like to briefly report on two different subjects and that it is somewhat more convenient to group both in a single article. Drugs first, with a follow-up on the sofosbuvir case which was reported on earlier on this blog. As readers may remember, an opposition division of the EPO maintained Gilead’s patent EP 2203462 on a blockbuster drug for the treatment of HCV infection further to the oral proceedings which took place on October 4-5, 2016. 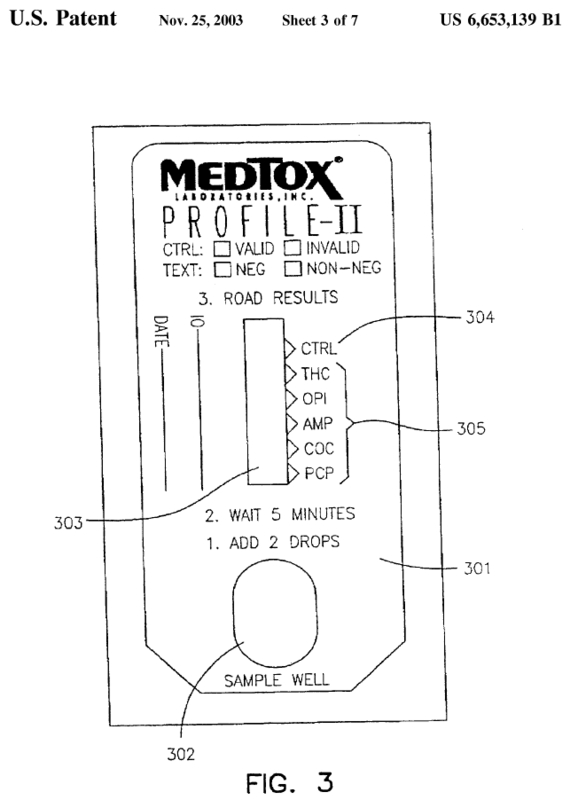 Several granted claims were deleted in the amended version of the patent due to extension of subject-matter, including a claim specifically directed to sofosbuvir. One remaining claim recited a generic formula which could be interpreted either as covering both sofosbuvir and its stereoisomer, or as covering only the mixture of sofosbuvir and its stereoisomer. This left a number of observers wondering what the amended patent is really about, and more importantly whether it sill protects Gilead’s drug. The update is that the written decision of the opposition division was issued on October 31, 2016. It can of course be downloaded from the online register. In this decision it seems quite clear that the opposition division has chosen the second interpretation. In other terms, they believe that the main remaining claim covers a mixture of sofosbuvir and its stereoisomer. Indeed, the term “racemate” is repeatedly used in the decision when referring to the subject-matter of the claim. The OD considers that claim 1 is directed to a racemate i.e. a mixture of the enantiomers and not the pure enantiomers. As indicated by the Patentee it is not contested that the racemate of claim 1 can be produced. This interpretation of claim 1 means that it is not necessary to come to a decision as to whether or not the patent in suit sufficiently discloses how to isolate and characterise the enantiomers. This issue is not relevant to claim 1. The OD considers that the auxiliary request 1 meets the requirements of Art. 83 EPC. So, if one follows the opposition division’s interpretation, it seems that the amended patent may no longer cover Gilead’s drug, which is as far as I understand a pure isomer and not a mixture. But here is the catch: national courts are not bound by the interpretation put forward by the EPO. As regards French courts, many illustrations of this have already been provided in previous posts. So, the conundrum is still there. Also, it is all but certain that multiple appeals will be filed. So, in 2 to 5 years we will be able to read the Board’s take on this issue. But we will not have to wait that long to comment on the case again, as new interesting developments still keep coming up. In a letter dated November 3, 2016, the proprietor’s representative requested a correction of the minutes of the oral proceedings, as well as of the decision. She stated that the minutes and decision misrepresent the patentee’s position regarding the scope of claim 1. Indeed, the opposition division reported that the patentee had stressed that claim 1 “does not embrace individual stereoisomers“; whereas in fact, says the representative’s letter, the patentee always expressed the view that individual stereoisomers are “within the scope of claim 1” but that claim 1 “does not particularize individual stereoisomers“. Even if the opposition division were to correct the decision and the minutes as requested by the patentee (which could be a long shot), the opposition division’s own assessment of the scope of claim 1 would remain unaltered. But the patentee’s actual statements during the oral proceedings might possibly be of relevance in front of a judge, which is the reason for this pre-appeal move. Interestingly, the representative asked for new oral proceedings if the request for correction were to be rejected. So, make sure to grab your bucket of popcorn and to watch the comments section below for any update on this matter – all the more so that one of the opponents also made a (different) request for correction. The opposition division’s job is certainly not an easy one in such a high profile case. As a side note, the decision of the opposition division contains a number of other interesting aspects. Entitlement to priority was challenged, which gave rise to a review of U.S. law in relation to assignments. There is also a long discussion on the public availability of a document D5 which is a university thesis. The opposition division came to the conclusion that the document was not part of the prior art because, on the balance of probabilities, there seems to have been a bar on access to the document at the relevant period of time. The inventive step section is also noteworthy. Several starting points were taken into consideration by the opposition division, and the surviving claims were found inventive over all starting points, the technical problem being the provision of alternative HCV inhibitors. Now, here comes the “employees” part of the post which, as I warned, is truly unrelated to the first part. The French patent and trademark office (INPI) has recently released an extensive study on compensation policy for employees’ inventions. According to French law, all inventions made by employees in the context of a task assigned to them by their employer (be it a general task assigned in the employment agreement or a specific task assigned during the course of employment) belong to the employer. But the employer must pay a bonus to the employees – or “rémunération supplémentaire“. The core of the INPI’s study is a survey on how businesses deal with this legal requirement. This is quite enlightening as the statute does not provide many details and leaves it open how the compensation should be calculated and when it should be paid. Case law on this topic has provided some guidelines without however setting any generally applicable rules. First, the form of the compensation. 60.5% of companies offer a lump sum-only compensation. Only 1.2% provide a compensation which is entirely dependent on whether/how the invention is exploited. The rest of the surveyed rely on a combination of both. Lump sum-only systems are certainly easier to implement (and potentially cheaper). But compensation systems which somehow take into account the exploitation of the invention might be more resistant to a court challenge. Second, the points in time at which the compensation is paid. There are many different possibilities here, and in some companies several installments are paid over time. Thus, bonuses are typically paid when the initial patent application is filed (76.5% of respondents); when patent applications are filed abroad (33.3%); when a patent is granted at the EPO or abroad (34.6%); during exploitation of the invention (33.3%); etc. Interestingly, 8.6% of the surveyed said an installment is paid as soon as the employer becomes aware of the invention. In lump sum-only systems, the median value of the minimum awarded bonus is 500 €, while the median value of the maximum awarded bonus is 2,000 €. The maximum amount reported in the entire survey is 11,000 €. In mixed systems, the median value of the minimum awarded bonus is 400 €, while the median value of the maximum awarded bonus is 15,000 €. The maximum amount reported in the entire survey is 105,000 €. In summary, the span is broader in mixed systems, with a shift towards higher compensations. I assume that the higher bonuses must be rare: they must correspond to exceptionally valuable inventions. The study also contains a breakdown of lump sum installments, depending on the point of time at which they are paid. For instance, in the majority of cases, the bonus for the initial patent application filing is between 500 and 1,000 €. But foreign filing bonuses and patent grant bonuses are somewhat higher, with a majority of cases between 1,000 € and 2,500 €. Fourth, the frequency of disputes between an employer and its inventors. Fortunately, 67.2% of those surveyed reported no dispute. In 10.1% of cases, the employer received at least one complaint from an inventor. In 10.1% of cases, a dispute had to be handled by the national conciliation commission (CNIS, Commission nationale des inventions de salariés). In 6.3% of cases, a dispute went as far as a lawsuit in front of the Tribunal de grande instance (TGI). If we add the CNIS and TGI cases, this is 16.4%, which seems to me like a relatively high dispute rate. The study contains a number of other interesting data. It offers a comparison with a similar study performed in 2008. It provides practical examples of compensation systems set up by a number of companies, such as Air Liquide. This should be most useful for those businesses which still need to set up their own compensation system. In this respect, 7.4% of those surveyed still do not have a compensation system in place, although this is required by the law. My guess is that among those not surveyed, including many IP-unaware SMEs, the proportion could be significantly higher. The study also provides a comparison of the French legal framework with other systems abroad. Some of the annexes are also useful. One of them provides a list of bonuses awarded by the CNIS between 2011 and 2015. The amount awarded by invention ranges from 333 € to 50,000 €, with a total amount (for all inventions in dispute) ranging from 1,000 € to 300,000 €. This broad range certainly corresponds to a large variety of inventions, from useless ones to extremely profitable ones. Another annex provides a list of damages awarded to employees by courts of law (as a compensation for unpaid invention bonuses) in the past few years. Again, the span is broad. However, the highest amount on the table (more than 1,000,000 € for two inventions) was in fact in a case where the inventions were not made in the context of a task assigned to the employee and therefore pertained to a different legal regime – one where the employer has a right on the invention but must buy the invention from the employee. In summary, this is a must-read in particular for in-house patent attorneys and more generally for all involved in employees’ inventions in this country. If anyone still had a doubt that French courts have gotten really tough on extension of subject-matter, despite previous indications to this effect (here, here, here and there), the present post may come as a final confirmation. The patent which was revoked this time is EP 1215336, in the name of Paper Machinery Technology Italia SpA (or PMT Italia) – as first reported on this French blog. 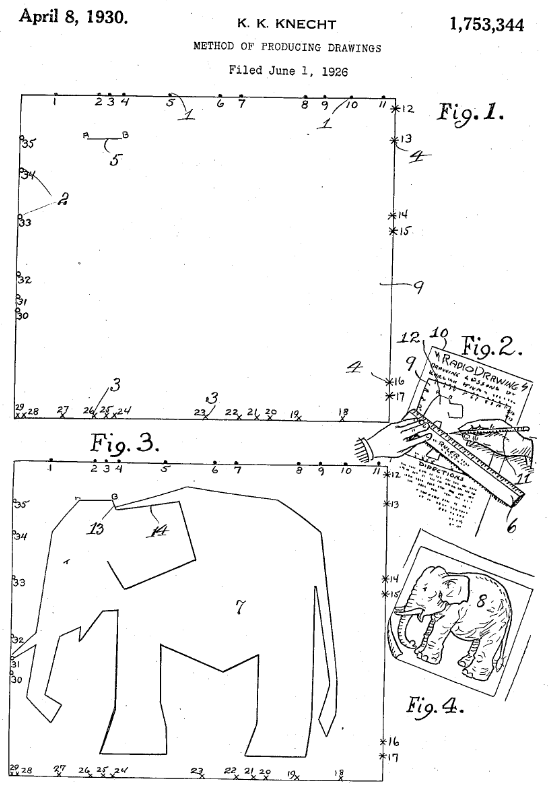 As the name of the company suggests, the patent relates to a machine for manufacturing paper. PMT Italia sued French Alps-based ABK Machinery for infringement of the patent in February 2012. The defendant lodged a nullity counterclaim which was successful, according to a judgment from the Paris Tribunal de grande instance dated May 7, 2014. PMT Italia appealed. The appeal proceedings were suspended between January 2015 and June 2016, as ABK Machinery went bankrupt, before resuming in the presence of the court-appointed liquidator. On October 7, 2016, the Cour d’appel confirmed the first instance judgment. A counterblade assembly (10) for a wet section (1) of a paper machine, comprising a fixed structure (13) fixed to a frame (5) of the machine; a counterblade (9) connected to said fixed structure (13) and movable, with respect to it, by actuating means (25) to exert pressure on two wires (2, 3) travelling between said counterblade (9) and a guide surface (8) along a substantially horizontal traveling path (P); and connecting means (22) interposed between said counterblade (9) and said fixed structure (13), characterized in that said connecting means (22) are articulated-parallelogram type connecting means and include a plurality of articulated rod elements (16) hinged to said fixed structure (13) and to said counterblade (9) about respective horizontal axes (A, B) perpendicular to said travelling path (P). In the above paragraph, expressions in bold are those which were added relative to claim 1 as filed. The added feature in the claim is at least implicitly disclosed in the description as originally filed (page 5, second paragraph) and clearly and unambiguously disclosed in the drawings (figs. 2 and 4). Therefore, the amendment does not contravene art. 123(2) EPC. However, an explicit support has been added in amended sheet 5 of the description. Amended drawings 1 and 2 are also filed, with added reference signs for axes A, B and added reference signs P1, P2 in fig. 1. Therefore, although an implicit support for claim 1 was supposed to be present in the application as filed, it appeared necessary to modify the description and drawings to make the support more explicit. Clearly, the court was not very fond of this approach. More specifically, each connecting assembly 22 comprises two pairs of elements 16 located on opposite sides of post 15 and bar 21, and each defined by two parallel elements 16 extending in a substantially horizontal direction. Each element has one end 16a hinged to post 15, and one end 16b hinged to bar 21 about respective horizontal axes A, B that are perpendicular to the traveling path P of wires 2, 3. Again, the underlined phrase corresponds to the addition relative to the application as filed. The respondent rightly notes that, in the original application, nothing taught the skilled person […] about the orientation that the articulation axes should have, namely a position perpendicular to the direction of travel of the wires, for implementing the invention as recited in the claim as amended during examination proceedings. Indeed, the paragraph relied upon […] does not contain nor suggest any information on this orientation which was precisely set at 90° during examination proceedings, and the appellant wrongly claims that it is implicitly disclosed. Quite frankly, I have not fully studied the application, but the above assessment seems to make a lot of sense. The original paragraph at stake was simply silent on the orientation of the articulation axes. insofar as the implicit disclosure from the above-mentioned second paragraph on page 5 cannot be acknowledged; the drawings are optional, they are meant to supplement the description which is the only one which is mandatory, since it is not possible to protect something which is claimed without being described (so as to interpret it), and not the other way around. It seems that the court introduced a hierarchy between the description and drawings (because the presence of a description is mandatory whereas drawings can very well be omitted). 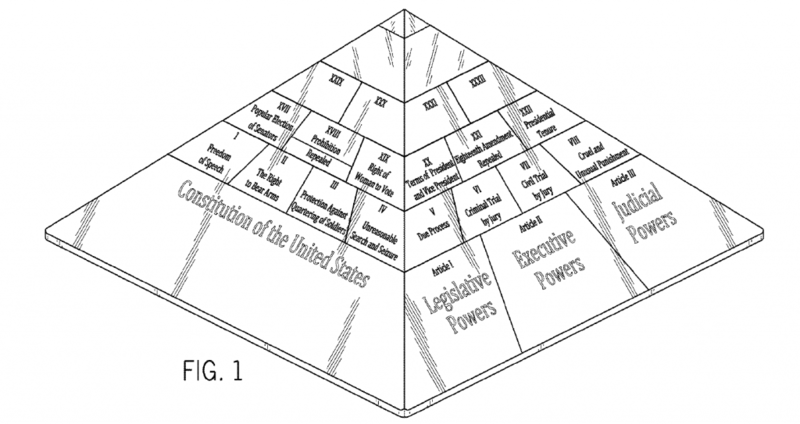 According to this hierarchy, the drawings could not be used as the sole support for a claim amendment. There can certainly be valuable arguments for this approach, but it is contrary to the case law of the Boards of appeal, per which drawings are “to be treated on an equal footing with the other parts of the application” (see Case Law of the Boards of Appeal of the European Patent Office, 8th edition, July 2016, section II.E.1.12.1, p.453). It is in fact also contradictory with earlier case law from the Cour d’appel itself. 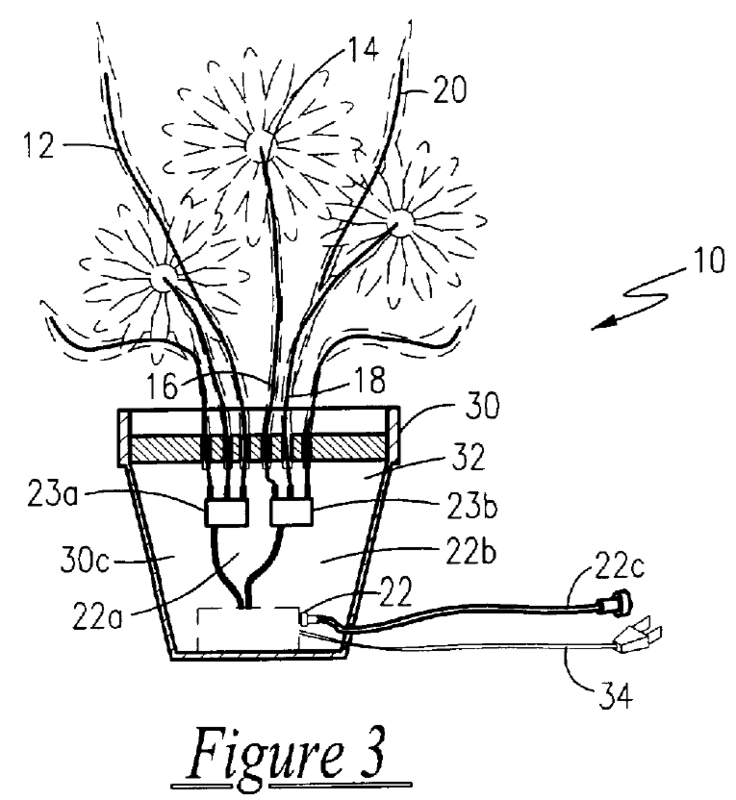 Indeed, at least in a judgment Knauf Insulation v. Saint-Gobain Isover dated May 16, 2014, the court accepted that a certain claimed feature could be derived from the drawing figures of the application as filed. In the present case, the stricter standard applied made all the difference, because it seems that the perpendicular orientation of the axes recited in claim 1 of the granted patent with respect to the traveling path P was indeed visible on the drawings. This does not imply that the amendment was necessarily allowable by the Boards of Appeal’s standards, though. Indeed, according to the latter, “the EPC does not prohibit the amendment of claims to include features from drawings, provided the structure and the function of such features were clearly, unmistakably and fully derivable from the drawings by the skilled person and not at odds with the other parts of the disclosure. Nor could any element be dropped” (Ibid.). A thorough analysis would thus be necessary to come to a conclusion -which was not performed by the court. There are two different ways of looking at this, a pessimistic one and an optimistic one. The pessimistic view is that the court made an error of law by conflating support of the claims in the description and extension of subject-matter, or in other terms Art. 84 EPC and Art. 123(2) EPC. Indeed, Art. 84 EPC, which was explicitly cited in the decision, provides that the claims “shall be clear and concise and be supported by the description“. Note: “by the description“, the law says, and not “by the description and/or the drawings“. But non-compliance with Art. 84 EPC is not a ground for revocation of a granted patent. Only non-compliance with Art. 123(2) EPC is (see Art. 138(1)(c) EPC). And the latter broadly makes reference to “the content of the application as filed“, without distinguishing between the original description, claims and drawings. In summary, according to this pessimistic view, the court had it all wrong. But there is a more optimistic view, which is that the court in fact made a thorough assessment of the application as filed, and came to the conclusion that, in this particular case, the amendment could not possibly be justified by the drawings. The reasoning is not sufficiently explicit to definitively exclude one of these two views, but the optimistic one can be supported by the following statements in the judgment. First, the court noted that the description makes it clear that variations can be made relative to what is depicted in the drawings. If my understanding is correct, the added feature was therefore considered by the judges as a non-essential, or even unimportant one, in view of the original disclosure, so that the skilled person would not have isolated it from the disclosure to include it in the main claim. Second, the court emphasized that the applicant heavily relied on the added feature during examination proceedings in support of inventive step. For the court, “the new claim brings a technical contribution to the invention, it does not merely correspond to a reformulation of the technical problem and of its solution which could be deduced from the overall content of the application as filed“. Again, trying to translate what is meant there, the point is the added feature completely changes the problem at stake and its solution. As this change was not derivable from the original application, the addition is unallowable. In summary, if the optimistic view is correct, the analysis made by the French judges may not be that different from the analysis that a Board could have made, after all. Anyway, claim 1 was held invalid. The same applied to dependent claims 2-7, quite easily so as the patentee did not develop any specific argumentation to defend these claims. CASE REFERENCE: Cour d’appel de Paris, pôle 5 chambre 2, October 7, 2016, Paper Machinery Technology Italia SpA v. SA ABK Machinery, RG No. 14/16544.